Being your own boss is incredibly rewarding. You get to set your own hours, have complete control of your business, and ditch those stressful morning and evening commutes. But being self-employed can make some things more difficult. Getting a home loan, for instance, isn’t so easy when lenders consider you to be a high-risk borrower. With more than 1.8 million self-employed workers, Florida is a popular destination for people working for themselves. After all, if your job allowed you the freedom to live anywhere you wanted, why not pick the state with year-round beach weather? If you’re wondering how to get self-employed loans in Florida, you’ve come to the right place. This guide will help you navigate the process of obtaining a loan, give you tips to improve your chances of qualifying, and offer some ideas for alternative lending options. Income Documentation: It should come as no surprise that income is often the most important factor in a lending decision. Documentation of income, traditionally in the form of a W2 form, shows lenders that you make a consistent amount of money and that you’ll be able to repay what you borrow. Self-employed individuals don’t receive a W2 form, but there are still ways you can document your income without one. Current Balances: Income is important, but it isn’t the only money that lenders look at. They may also request a bank statement so that they can see the current balances in your checking and savings accounts. This verifies your ability to afford a down payment. And they’re not just looking at the amounts – they’re looking at where that money came from and how long it’s been there. For example, if all the money in your savings account was added within the last 30-days, a lender might find that suspicious. Debt-to-Income Ratio: Everyone knows that the more debt you have, the harder it is to be approved for a traditional loan, but that doesn’t mean that it’s impossible. So what’s a safe debt-to-income ratio? Most home mortgages require a debt-to-income ratio that is less than 45%. That means you should be spending no more than 45% of your monthly income on debt payments. Credit Score: Closely related to debt, your credit score is another important factor that lenders consider when you apply for a home loan. To qualify for a low-payment advantage on an FHA loan, for example, you need a credit score of at least 580. If your credit score is any lower than 580, you can still be approved, but you’ll have to make a higher down payment. You don’t have to be perfect in all of these categories – most people aren’t! Lenders weigh all of these factors together to determine what type of loan you qualify for. Now, let’s look at some of the obstacles that you may face as a self-employed individual that can make the lending process tricky. As we’ve already mentioned, income documentation isn’t as easy as whipping out a W2 form you got from your employer. Showing your annual income isn’t enough – you need to show lenders your taxable income, which is your total income after writing off expenses. While writing off as many expenses as you can, it will help lower the amount you owe in federal income taxes, it may make your taxable income too low to qualify for the loan that you want. The inconsistency of this income year after year also puts self-employed borrowers at a disadvantage. Most lenders will require that you have a reliable source of income to qualify for a loan. But someone who flips homes for a living will yo-yo between significant losses and profits over the years as they buy and sell back properties. So, what can you do about these challenges? Now that you know the hurdles that you need to overcome to get self-employed home loans in Florida, here are some potential solutions for the most common problems these kinds of borrowers run into. Problem #1: Your self-employed income is inconsistent. Solution: Provide several years of taxes to prove that these ups and downs are normal and that your business is healthy. Most lenders require at least 2 years of income documentation to show stability. Problem #2: You don’t have a W2 form from an employer. Remember, you’re the one responsible for validating your income. The sooner you start keeping organized, detailed records of these documents, the better your chances of qualifying for a loan. Problem #3: Your taxable income is too low. Solution: First, make sure you’ve considered every source of income, including income from public assistance programs. If your income is still low, strengthening other parts of your application, such as your credit score and your debt-to-income ratio, may help you get the loan that you want. If all else fails, it may be time to look into a smaller loan amount or a different type of loan altogether. When you’re self-employed, especially if you are just starting out in your career, gathering all of the documentation that traditional lenders require can be overwhelming or even impossible. If you don’t think that you would qualify for a traditional loan based on the requirements above, you may consider one of the following types of nontraditional home loan solutions instead. Instead of getting a traditional loan from a bank, you can choose to borrow money from a private lender. Most commonly, private lenders are friends or family members. If you need a loan for a business venture, such as flipping and selling an old house, you may be able to find an investor who believes in your ability to turn a profit. Hard money loans are somewhere between private loans and traditional loans. While they eliminate many of the strict requirements of bank loans, they are more structured than private loans. They are secured by real estate, meaning that either the property you currently own or plan to buy will be used as collateral. You can apply for a hard money loan even if you have bad credit, no credit, or if you don’t have proof of income. Hard money lenders aren’t concerned with your assets – their main concern is the value of the property in question. This type of home loan is also a good option for someone who needs funding quickly, as they can typically be funded within a week. If you have a spouse or family member willing to co-sign on a home loan, their good credit and stable income may be able to get you the loan that you want. A co-signer promises responsibility for the loan but does not gain any rights to the property. For this reason, the most reliable co-signers tend to be parents. #1. Don’t mix your personal expenses with business expenses. Keeping organized when you’re busy running your own business isn’t always easy, but it is necessary. If you aren’t organized, you can end up mixing your personal expenses with your business expenses. It’s best to have separate bank accounts for business and personal funds so that lenders can easily see and track your business income from month to month. #2. Work on your credit score. It’s easier said than done but don’t underestimate the power of a good credit score. Or perhaps, more importantly, don’t underestimate the harm that a bad score can do. Even if your self-made business has been incredibly successful, you will still be offered a terrible rate on your mortgage if you’re below 600 – if you’re approved at all. Improving your credit score takes time, but it’s never too late to start. Work on paying off any outstanding debts, make your bill payments on time and keep your balances low. #3. Start saving up for a down payment now. When it comes to getting approved for a traditional loan, you’re naturally at a disadvantage as someone who is self-employed. One way to gain some bargaining power is to make a larger down payment. Instead of the usual 5% to 15%, increasing your down payment to 20% or even 30% may make the approval process simpler and give you greater flexibility. #4. Make your business appear more professional. You might be making decent money running a business out of your garage, but if your business is not registered, that’s a red flag to investors. By registering your small business as a legal entity, you show investors that you’re serious about this venture. Depending on the type of business you run, you may also need to apply for certain licenses and permits. Check out the U.S. Small Business Administration website for more in-depth instruction on obtaining permits and registering your business. How long do I need to be self-employed to apply for a home loan? The longer you’ve been earning a steady income from your self-employed job, the better. Often, you won’t even be able to qualify for a traditional loan unless you’ve been working for at least two years. For this reason, if you’re currently employed at a 9-5 job and looking to work for yourself in the future, it will be easier to apply for the loan you need before you leave. Can I get a self-employed loan with no proof of income? Without proof of income, qualifying for a traditional mortgage loan will be difficult. However, remember that income isn’t the only thing that lenders look at. If you have an exceptionally high credit score or low debt-to-income ratio, you might be able to get a decent loan. If you don’t have either, you should look into applying for a nontraditional loan instead. Are nontraditional self-employed loans safe? At first glance, it seems like many nontraditional loan options are too good to be true. A lender that doesn’t care about your credit score or your income? There has to be a catch, right? Not really. Private and hard money loans are not shady deals meant to trick you – they are perfectly safe through a reputable investor. However, they do tend to have higher interest rates than traditional loans. This is because nontraditional money lenders take on more risk than banks and they need to mitigate that risk. As long as you are aware of the interest rate being charged and are confident in your ability to pay back the loan on the lender’s terms, you should have no problem securing the funds you need without landing yourself in deeper debt. And for many, the benefits outweigh the risks – funding from a hard money lender with a slightly higher interest rate is better than no funding at all. Self-employed loans in Florida can be tricky, but it isn’t impossible to get the funding that you need when you’re your own boss. 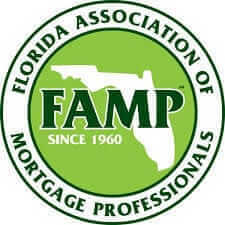 If you plan ahead, keep good records, and know your loan options, you can get approved by a lender and get a good rate. For more information about alternative loan options, contact Associates Home Loan of Florida. We make the process of obtaining a home loan less stressful for those struggling with bad credit, bankruptcy, foreclosure, and other financial issues. Ready to explore your options? Fill out our easy online loan application to get started!